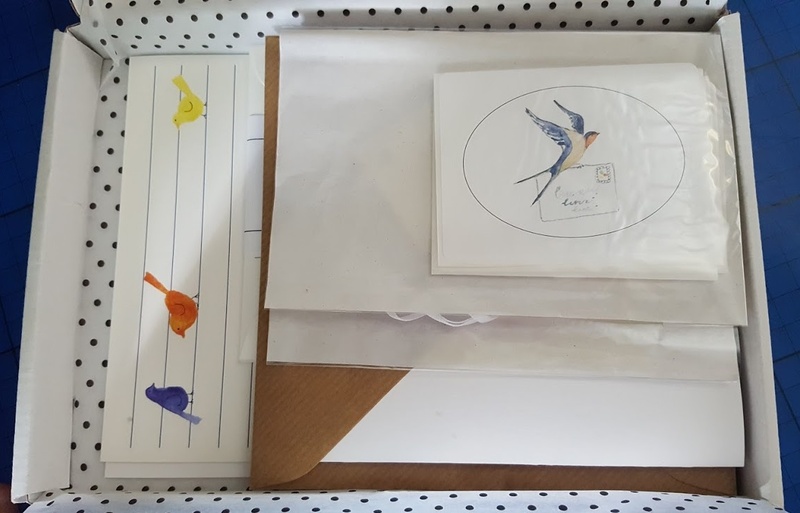 Young Honey Tree is a postal subscription service whereby your child is sent a very carefully crafted box of beautiful stationery each month. The emphasis is on quality and care, with each box contents costing £30 or more if you were to buy the items individually. This is bespoke stationery, and each monthly shipment will contain fun, beautifully designed exclusive items from the UK’s leading illustrated bespoke stationers. 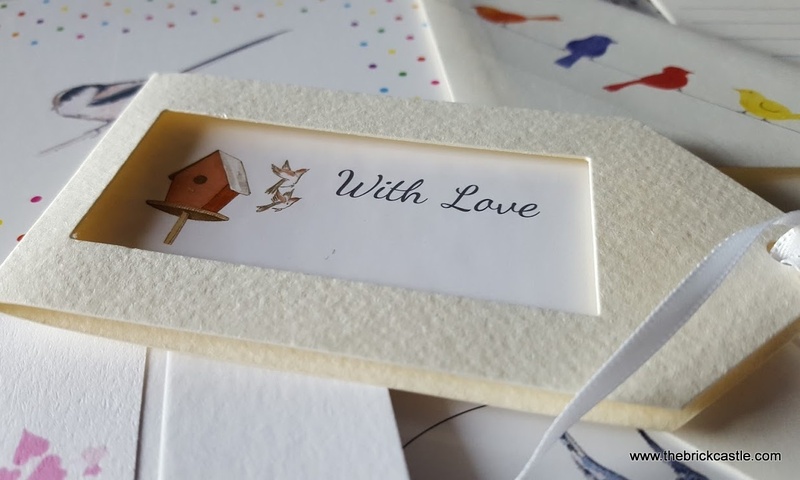 The post box contents include items such as greeting cards, postcards, notecards, gift tags and stickers, and is designed to fit through your letterbox, so you don't need to be home to accept delivery. 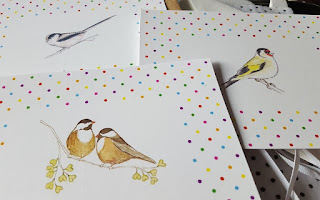 In my box we have a theme of wild birds, in a variety of styles to suit different tastes and occasions, but all fairly delicate and well matched, and excellent quality thick papers and cards with beautiful printing. We had a visitor in the form of young Miss Manchester Mummy and she set to work immediately writing a card for her Mum. My youngest spotted the stickers and they were carefully plastered all over his bed within seconds. The postcards particularly caught my eye. 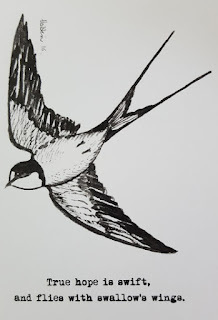 The birds are illustrated so beautifully, with a glossy finish. 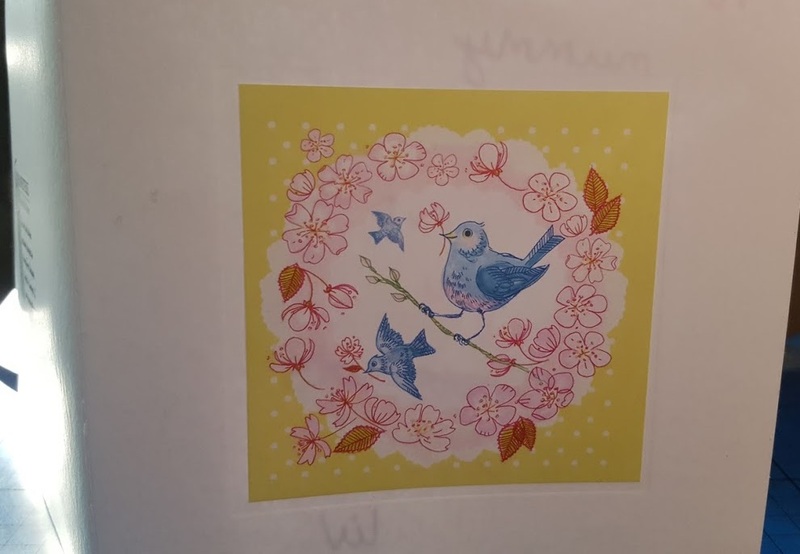 It turns a plain old postcard into something really special. The two greetings cards are also very special, and nicely printed onto an embossed section, with brown paper envelopes. 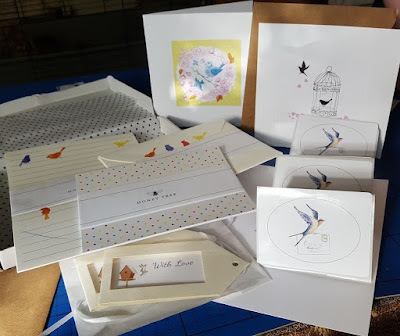 There are also matching writing paper and envelopes, gift tags and an art card in the box. 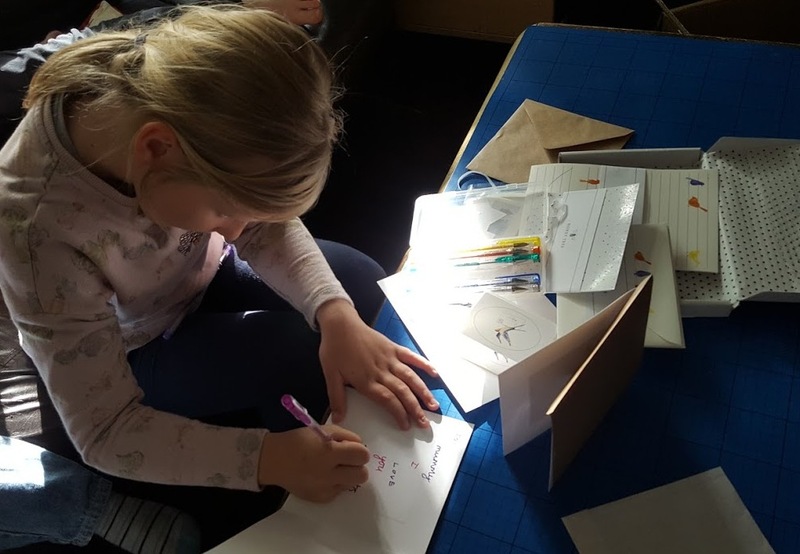 Young Honey Tree (and The Stationery Lovers Club for the over 12's) deliver monthly subscription post boxes containing at least 7 items with a retail value of £30. Flexible memberships start at just £10.50 a month, with £1 from each subscription going directly to the Post Pals Extra Smiles Campaigns. The post boxes are available on a single month basis for £15 per month, as a 3 month subscription for £13.50 per month, as a 6 month subscription for £12 per month, or as an annual subscription for only £10.50 per month. Honey Tree Post have very kindly offered a Young Honey Tree stationery post box each for 3 of my readers. Entry to the giveaway is by Gleam form below. No entry is mandatory, but each extra task completed brings extra chances to win. Each winning entry is checked. Open to UK readers only, the giveaway will end at midnight Friday 12th August . Full terms and conditions at the bottom of the Gleam form. We were sent our Young Honey Tree post box for review. It would have to be Albert Einstein. He was one of the greatest minds of all time and used the power of his mind to change the world. I would love to have written to Alice Nightengale to thank her for the work she did throughout her life! 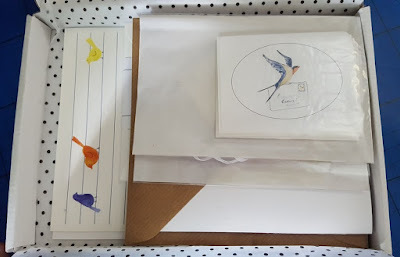 I love this box - very different and nice to encourage writing letters. I would write to my nan. Jon Bon Jovi, to apologise for the valentines card I sent him in 1994! Hmm I'm not sure but maybe one of my heroes, Aung San Suu Kyi. I would like to talk to her about her life so far, her bravery and everything she has done and fought so hard for. I would love to write a letter to the Roman orator Cicero. I'd write to Nelson Mandela when he was first interned on Robben Island and tell him to keep his faith that things in his country will change and that one day he will be remembered as a hero to people of all colours and creeds. I'd love the write to the Queen to ask her what she keeps in her handbag. I would love to write to the queen! I'd love to write to Walt Disney, he seemed such an interesting person. I'd write to Jack the Ripper and ask him who he was and why he did what he did. I would write to Henry VIII and ask him why he was so radical in his decisions regarding religion and his marriages. I would really like to get into his head. Phillip Schofield because he is lush! always been fascinated wih the queen so id write to her ! I'd write to Terry Pratchett and ask him if Angua and Carrot ever had children, if Moist ended up running the tax office and what would happen if the Patrician died ! Nelson Mandela because his courage and determination has always inspired me. Urban Armor Gear Phone Case Review. HARIBO Frenzy Mini Carnival Kit Giveaway!